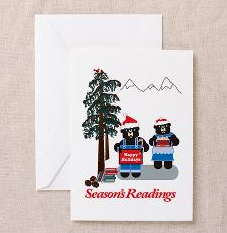 Bears, cats, and dogs send holiday greetings. 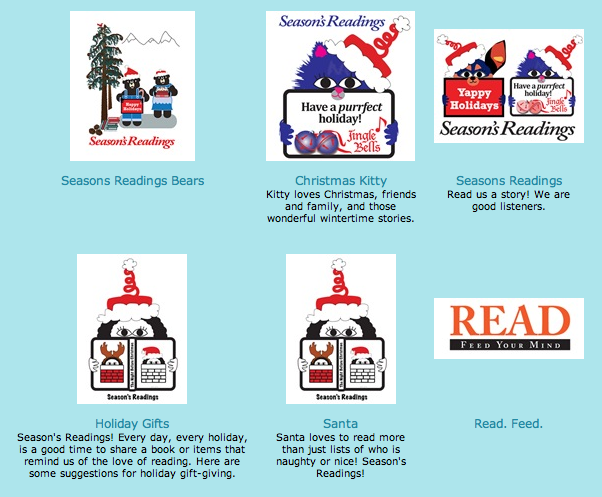 Other cards promote reading and libraries. Visit the site, do you holiday and 2014 shopping, and invite your friends to do the same!